Key person insurance is simply life insurance on the key person in a business. In a small business, this is usually the owner, the founders or perhaps a important employee or two. These are the people who are crucial to a business–the ones whose absence would sink the company. The most important asset any business can have is its people. People who know the business operations by heart, who can look at a plan and know exactly what to do in a minute, who can find the solution to problems that may otherwise cause the business to lose significant profits. These people help your dreams become a reality and you do not want to lose them. Losing them can lead to sudden drop in sales and profit, lost contacts that may be crucial for your growth and can paralyze several aspects of your business operations. Key Person Insurance will can help protect your investment. Death is inevitable, failure is not. By incorporating Key Person Insurance for that person critical to your business success, will provide peace of mind and confidence knowing you have protected what’s important to you. 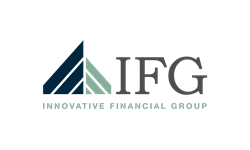 At Innovative Financial Group, we can help you answer, “How well are you planned and how can you tell?” Call today for a complimentary conversation.